I Am So Sorry Dad – We’re Pending. This could end up being very humorous or a nightmare. 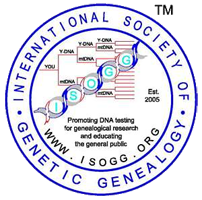 I was excited to hear the great news that FTDNA (FamilyTree DNA) has added a phasing ability to their matches results. Just Great! I love it! I am all over it! I jumped into my DNA matches before I even finished reading the email. I like the new layout with the tabs navigation – makes things very easy to see in a “nutshell”. You won’t be able to be eligible to use this feature, be able to click on the tabs, until you get yourself linked to another match who is in your tree. The “tree” refers to the GEDCOM/Tree you uploaded to FamilyTree DNA. First off, if I didn’t administer my father’s account, then would I have to wait for him to also approve the connection? I have cousins in my matches (section) who have yet to approve our relationship connection and it’s been a long while since I requested confirmation. My father and I are in a perpetual “pending” relationship status, which does not, in the least, represent our real life relationship. Nothing pending about me and my favorite ski buddy. Secondly, the matches relationship status with my father seems to be in a state of perpetual “pending”. How is this going to affect my phasing? I noted in Roberta Estes blog, DNA Explained, Family Tree DNA Introduces Phased Family Finder Matches that she discovered you have to have the correct/same names on each before the phasing will work. Is there some preciseness I am am missing? In my exuberance over these new tools, have I sent my father and me into a virtual loop of pending relationship status? What will this do to our real relationship? His birthday is a couple of days away. Will I need to call him twice, just to make up for this? Oh, I am a horrible daughter to have done this to us. I have received an email from FamilyTree DNA saying I have been added to my fathers tree and vice versa. Our relationship is still pending in the matches section and my extra tabs have not been populated with any information. This is 2 hours after the linking of our trees/DNA. Today, a day later, still no tabs enabled. Still pending…on a bright note, “Please note that while we perform our scheduled maintenance this Friday and Saturday, the new calculation function will be temporarily unavailable. If you already have relatives connected, you will still be able to access these different categories, though updates stemming from changes to your tree will not be calculated until Saturday afternoon.” this was in the same email which announced to changes. Alright already. I am pleased to announce that my phasing has been completed. BUT. My father and I are still pending in our relationship status. So Sorry Dad!